DONALD DUCK: Oh, Santa! Where are you? MICKEY MOUSE: Do you see any sign of Santa? 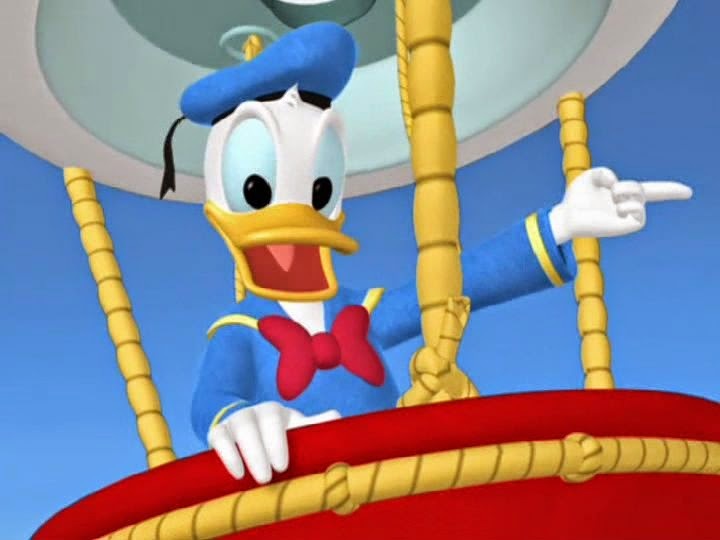 DONALD DUCK: Over there? 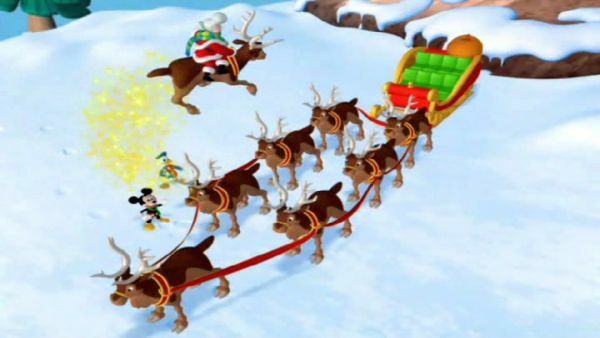 MICKEY MOUSE: It's Santa's sleigh. DONALD DUCK: And his reindeer. MICKEY MOUSE: Gosh! DONALD DUCK: How about that? 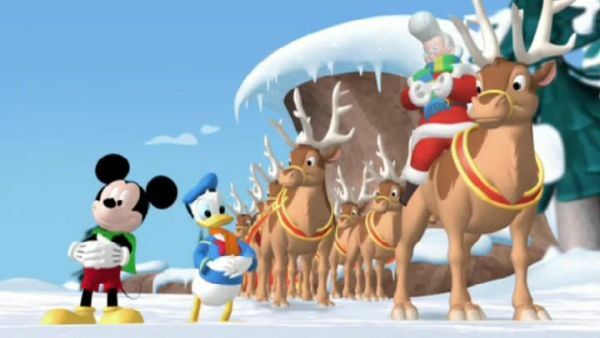 MICKEY MOUSE: Santa has eight reindeer. Are they all here? Let's count. One, two, three, four, five, six, seven. DONALD DUCK: There's only seven deer. MICKEY MOUSE: Do you see the eighth reindeer? DONALD DUCK: Hey! There it is. 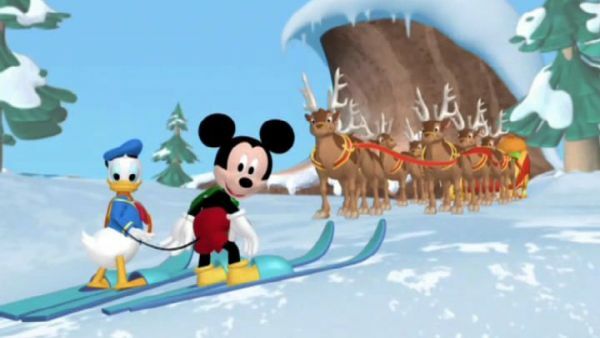 MICKEY MOUSE: Right, Dasher is the eighth reindeer. DONALD DUCK: But where's Santa? let's ask our friends to help. 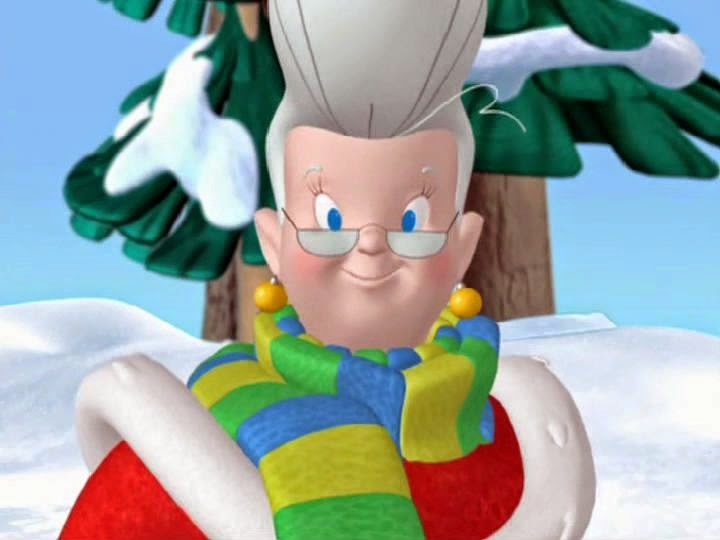 Will you help us call Santa with the special Santa call? Hot dog! DONALD DUCK: Come on, say it with us. 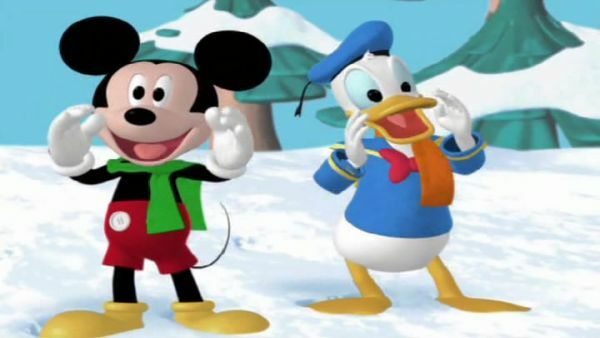 MICKEY MOUSE AND DONALD DUCK: Santa, Santa, ho, ho, ho. SANTA CLAUS: And a "ho, ho, ho" to you too. Whee-hee-hee-hee! 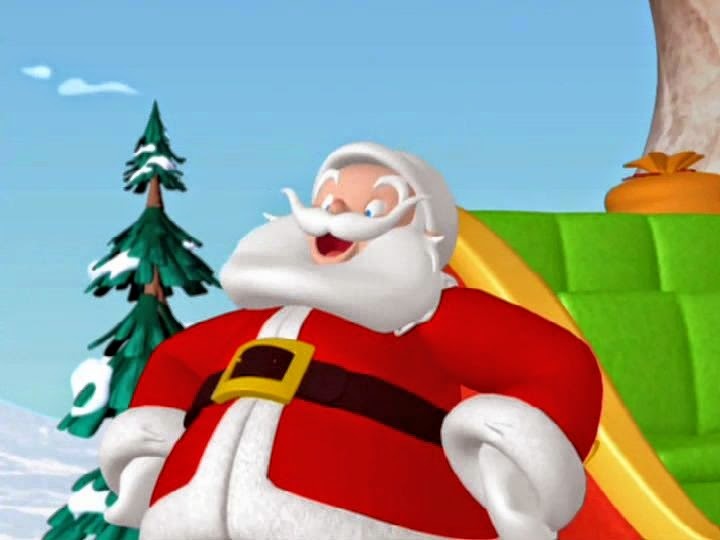 MICKEY MOUSE: It's Santa Claus. DONALD DUCK: I can't believe it. 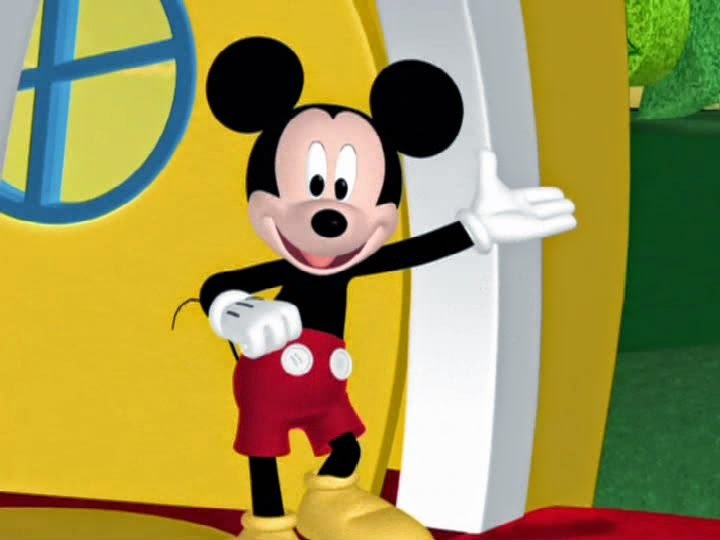 MICKEY MOUSE: Hot dog!